Upgrade to Premium Package and enjoy a tasting experience like no other. 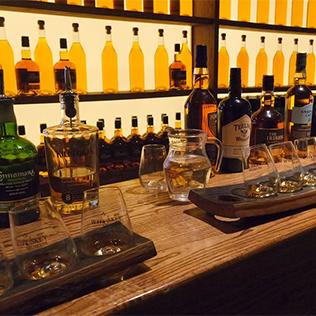 A trip to the Irish Whiskey Museum will enlighten you about the intriguing history of Irish whiskey, its rise to glory, dramatic fall and the current revival of new Irish whiskeys. 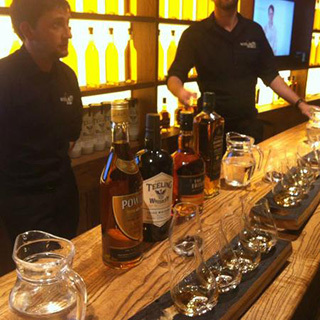 The Premium Package includes fully guided English tour (other languages available), visit 5 unique rooms set with the backdrop of Trinity College, tasting of three perfectly crafted Irish whiskeys, Extra: Enjoy a tipple of aged whiskey, matured for a minimum of 10 years, Extra: receive a unique Irish Whiskey Museum souvenir. You will also gain access to our contemporary cafe, bar and gift shop. Tour departs every 30 mins Mon - Sun lasting for 1 hr. Price is for one senior/ student. Irish Whiskey Museum is located just across from Trinity College at 119 Grafton Street, Dublin 2. Open year round, 7 days a week. Tours begin at 10am with last tour departing at 5.30pm. Advance booking on AllGifts.ie is required. 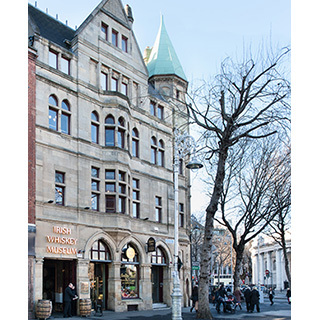 The Irish Whiskey Museum is located across from the main entrance of Trinity College, in the heart of Dublin city. It is approximately a 10 minute walk from O'Connell street. 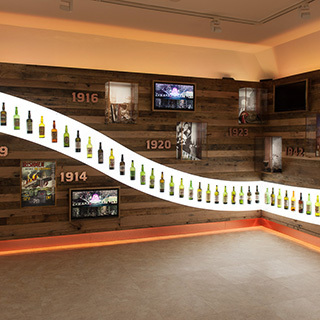 The Irish Whiskey Museum is the first Irish whiskey museum in the world! 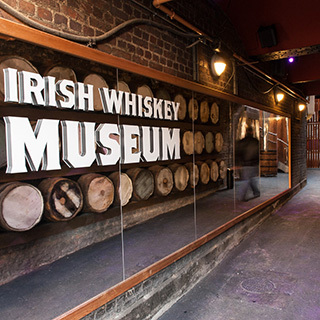 Join us on a journey through time, in an historic setting, where this fantastic museum unveils the intriguing tale of Irish whiskey. Independent from the drinks industry, we tell the story of Irish whiskey through the ages. 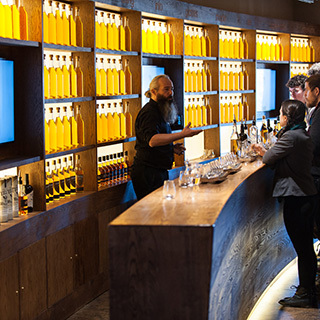 Our knowledgeable and engaging guides will take you through the history of Irish whiskey with many interesting tales to keep you entertained on this one hour tour. For a true Irish experience, make this tour top of your list of things to do in Dublin! 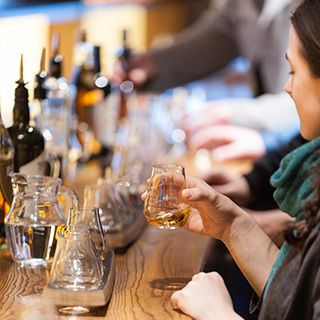 After your tour, the guide will take you through a tutored tasting of different samples of Irish whiskey so you can become a master of all the different palates and tones a dram of Irish whiskey has to offer. If you would like your Irish Whiskey Museum posted, please select 'delivery' when completing order and enter delivery details.